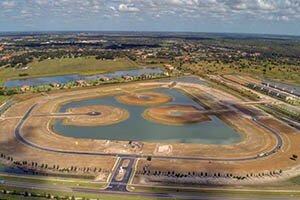 SARASOTA, FLORIDA, November 20, 2018 – Four new Southwest Florida communities have been lined up in recent months by national home builder M/I Homes, as demand for new builds of Bradenton and Sarasota homes for sale remain on an upward trend. This Columbus, Ohio-based builder currently counts 11 projects within Manatee and Sarasota counties, a roster it set two years since opening a regional office in Lakewood Ranch in 2016. Early this year, an M/I Homes Design Center was also opened in Lakewood Ranch. This facility provides home buyers with the latest design ideas and enables them to work with a professional designer for the options and finishes that they request based on their tastes and preference. 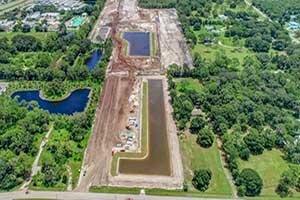 Two of M/I Homes’ new projects are set in Bradenton, one of which is the Riverside Preserve located off the eastern corner of Upper Manatee River Road and Williams Road. Directly backing up to the Manatee River, this community is platted for single family homes on 101 sites about 4 miles north of State Road 64. M/I Homes broke ground on Riverside Preserve in October, and its opening is expected early next year. Planned as a gated community, it will offer choices from the builder’s Landmark home series. The amenities set in this project include riverfront recreational facilities such as a kayak/paddleboard launch, a picnic pavilion with a grill area, and a kids’ playground amidst lush open spaces and walking trails. 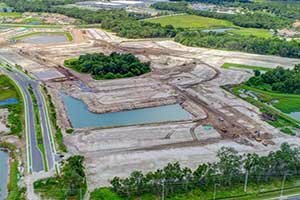 Likewise in Bradenton, southwest of Riverside Preserve, M/I has also broken ground at Amberly located south of State Road 64 and east of Morgan Johnson Road (57th Street East). This location puts future residents just minutes away from downtown Bradenton to the west via SR 64. 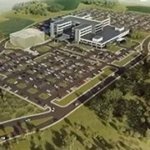 Amberly is also convenient to Interstate 75 just a short distance east of the community. M/I’s Amberly is planned as a maintenance-included community with 124 paired villas priced starting from the $200s, featuring floor plans ranging from 1,475 to 1,619 square feet. The villas are one-level in their design and comes in a Tuscan/Mediterranean style with two- to three-bedroom layouts, covered lanais, and two-car garages. Also scheduled to open in early 2019, this community is planned with a heated pool and pavilion amongst its amenities. Meanwhile, in Sarasota, M/I is girding to go full blast in its marketing of Worthington, the builder’s new project located off the eastern terminus of Palmer Boulevard at Iona Road. This site is adjacent to two other new communities: Artistry Place to the east and Palmer Lake towards south. Worthington, which is a short distance east of the park Celery Fields, is planned as a gated enclave for 156 single family homes of Craftsman, Tuscan, and West Indies architectural style with tile roofs. Each home site in this community is oriented so as to provide either water or nature preserve views. 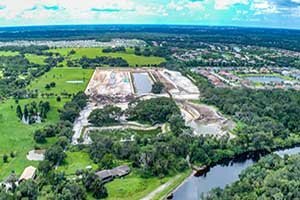 Besides this new Sarasota development and the two in Bradenton, M/I Homes is also strengthening its presence in Lakewood Ranch through its Woodleaf Hammock project. This community is set off of SR 64 east of Lakewood Ranch Boulevard and bordered south by Gatewood Drive. Spreading across from the Eagle Trace community, Woodleaf Hammock is planned for 91 home sites nestled amidst lakes and nature preserves. M/I Homes has lined up for this project its River and Landmark home series with tile roofs and brick pavers amongst their highlights. The amenities that M/I has announced for this community include a clubhouse, resort style pool, pickleball courts, a tot lot, and dog parks.